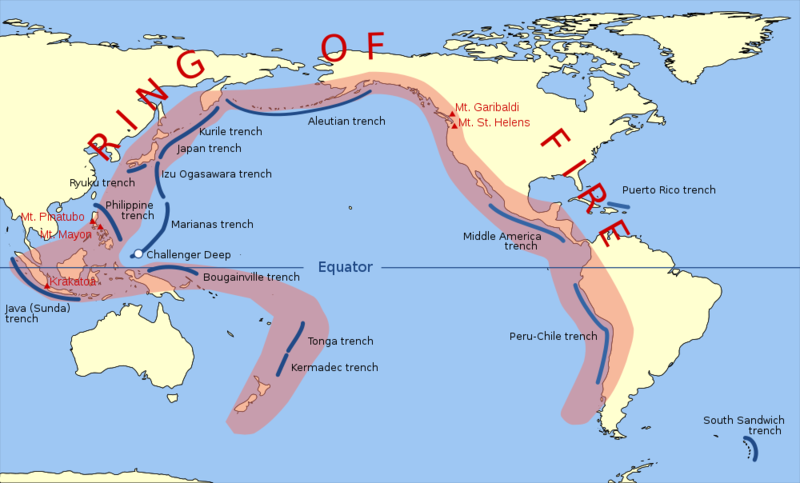 The Pacific Ring of Fire is an area where large numbers of earthquakes and volcanic eruptions occur in the basin of the Pacific Ocean. In a 25,000 mi horseshoe shape, it is associated with a nearly continuous series of oceanic trenches, volcanic arcs, and volcanic belts and/or plate movements. The Ring of Fire has 452 volcanoes and is home to over 75% of the world's active and dormant volcanoes. It is difficult to distinguish an extinct volcano from a dormant one. Volcanoes are often considered to be extinct if there are no written records of its activity. Nevertheless, volcanoes may remain dormant for a long period of time. Extinct volcanoes are those that scientists consider unlikely to erupt again, because the volcano no longer has a lava supply. 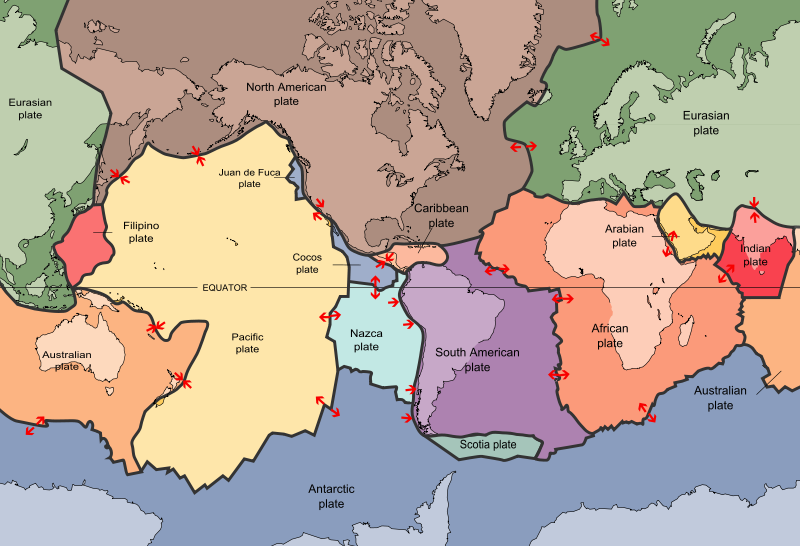 Examples of extinct volcanoes are many volcanoes on the Hawaiian – Emperor seamount chain in the Pacific Ocean, Hohentwiel, Shiprock and the Zuidwal volcano in the Netherlands. Edinburgh Castle in Scotland is famously located atop an extinct volcano. Otherwise, whether a volcano is truly extinct is often difficult to determine.